E-commerce is on fire in the MENA region, and it's not surprising given the fast growth in our digital sector. This especially applies to the GCC, which has been behind most of this impressive boom, expecting to jump from U.S.$9 billion to $15 billion by 2015. 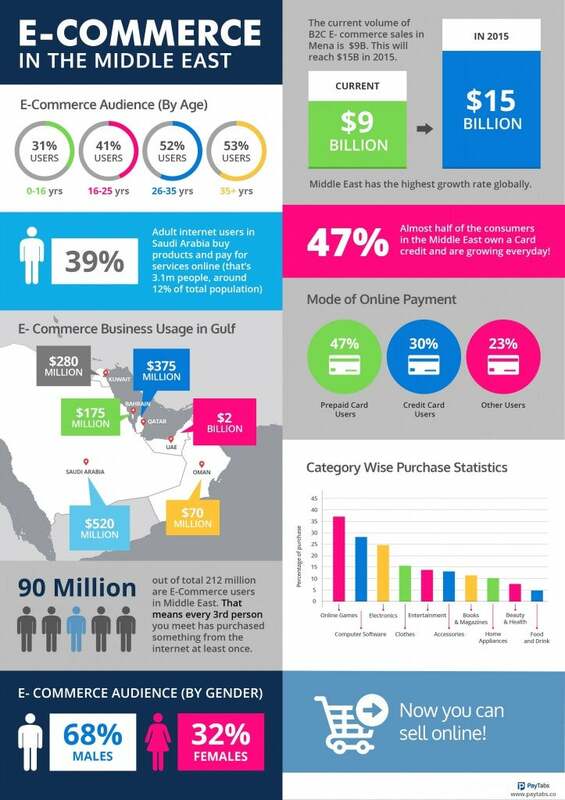 This short infographic by PayTabs highlights the current status of e-commerce in the region, and gives you an idea about where the digi-dirham space is headed. Cha ching!